….whetting your taste buds one meal at a time. Do you know that you can make potato porridge? 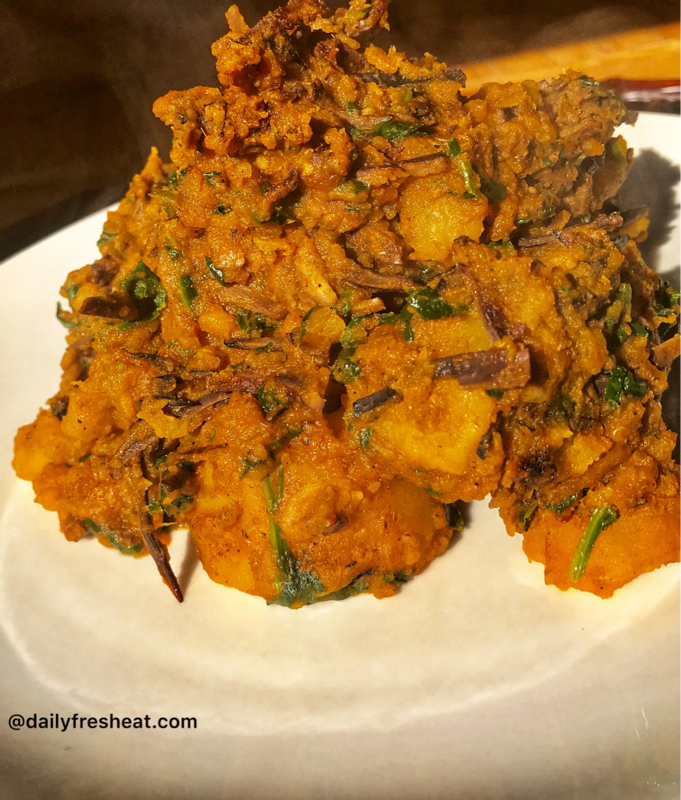 Most of us that grew up in Nigeria know about Yam porridge and how flavorful and yummy it is. 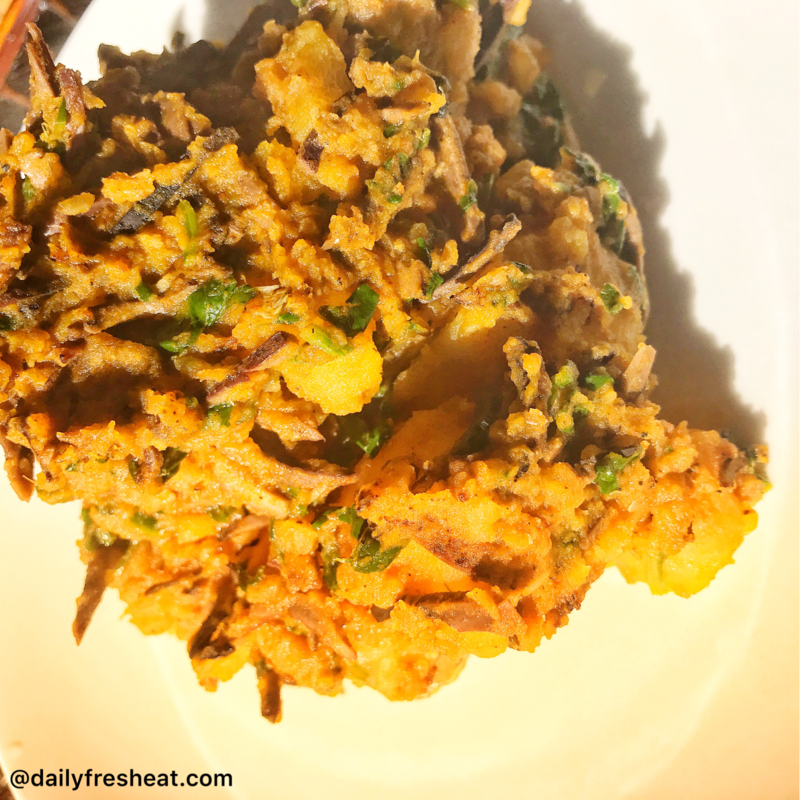 Potato porridge can as well give you the same result just like yam porridge. 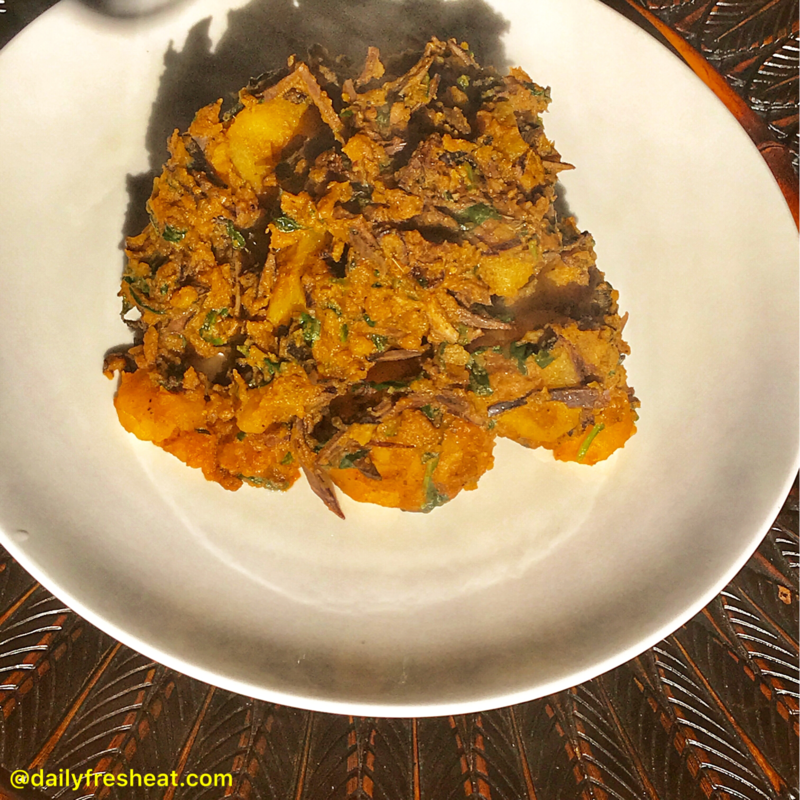 Potatoes can serve as an alternative, especially if you stay where yam is not always within your reach. 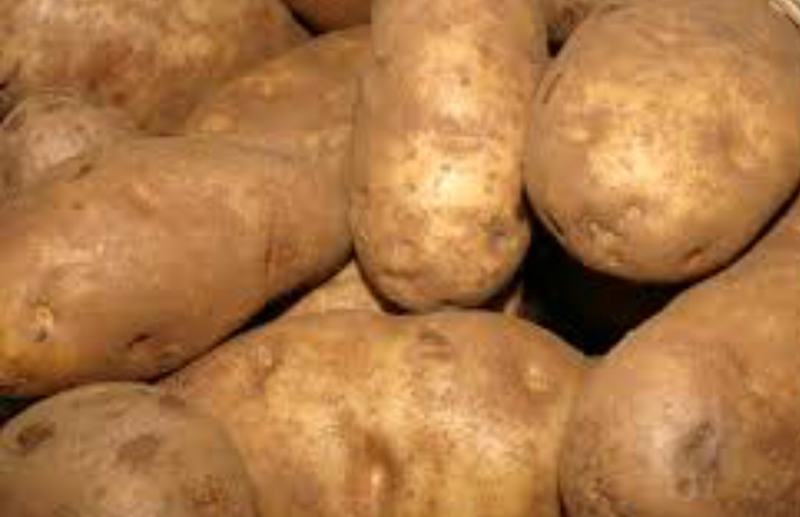 Potatoes supplies ample of energy, vitamins, minerals, and nutrition when consumed. The potato has been a good staple food in many parts of the world today. It has various health benefits which include its ability to improve digestion, reduce cholesterol levels, enhance heart health, protect one from tumors, improve diabetes and strengthen the immune system. It’s a good source of organic compounds which helps reduce signs of aging, a good skin care, able to reduce blood pressure, reduces insomnia, and boost eye health. Potatoes cook faster, all you need to do is to peel it and get the ingredients ready. I added Ukpaka (Oil bean) to my potato porridge and it’s optional. For this recipe, I used Russet Potatoes which taste very delicious. • Peel the potatoes and cut into cubes, soak in water and set aside. (Soaking it will keep it away from browning). If you are using dried oil bean, then soak in hot water for about 10mins. • Wash the potatoes and place in a pot. • Add the ground crayfish, the ground pepper, the stock cubes, salt and the chopped onions. You can also add the oil bean if it’s dried one so it can soften as the potatoes boil. (If its fresh oil bean, then you add it together with the vegetable. Add water to be on the same level with the potatoes and place on the heat. • Add more water if needed to get the thickness. 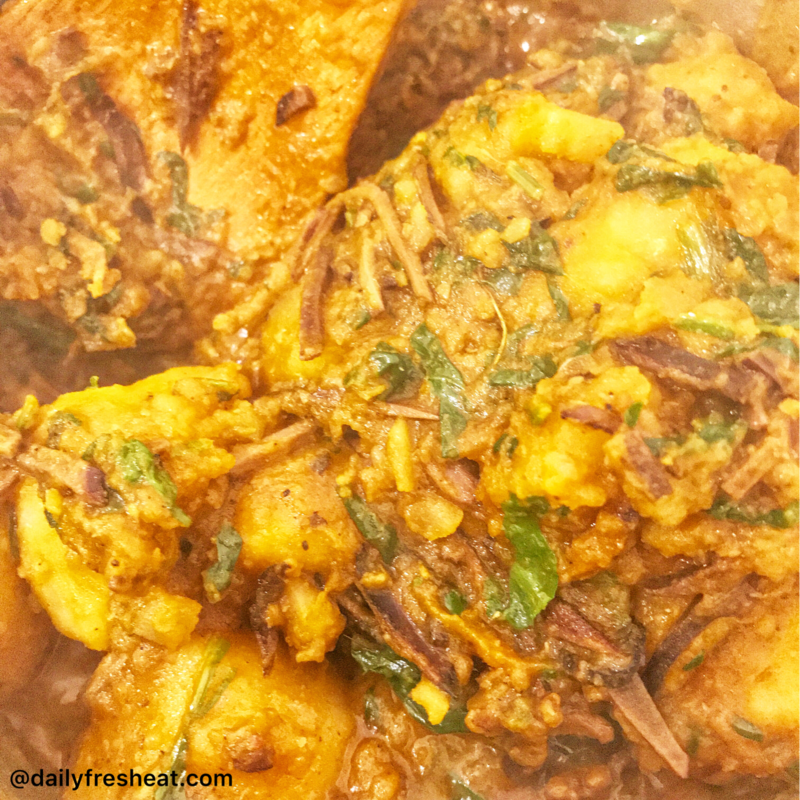 You can also mash some of the cooked potatoes in the pot to thicken the porridge and provide that yummy look. • Add the vegetable, cover the pot and turn off the heat. It’s ready, serve and enjoy! I know someday would make us proud. Thanks for not disappointing us and making us proud!